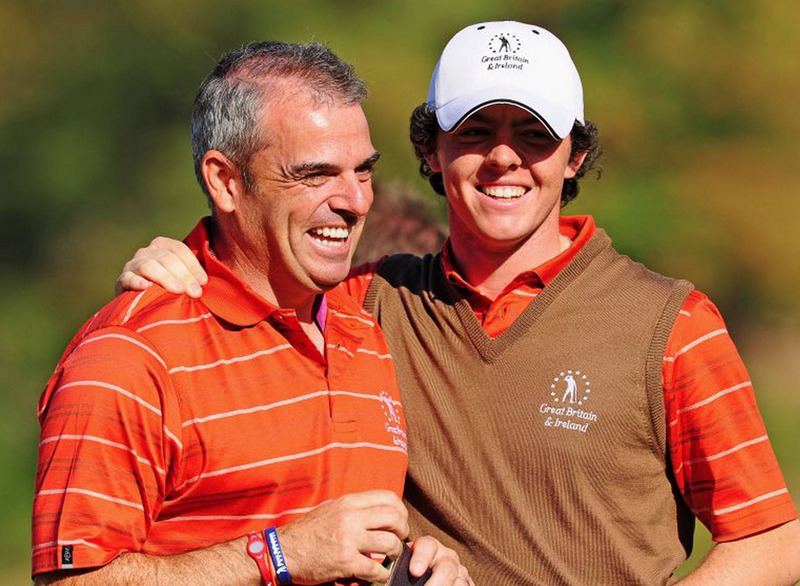 World Number 1 Rory McIlroy has backed Ryder Cup captain candidate Paul McGinley with his support ahead of the announcement of the Team Europe 2014 Captain. "RC (Ryder cup) captaincy should be a one time thing... Everybody deserving gets their chance and moves on... Would love to play under McGinley in 2014"
Is Darren Clarke. However all of eight months ago McGinley announced that Darren had come and expressed his support for him when it came to being the 2014 captain. The USA team have already made their selection for Captaincy. In Tom Watson. The oldest USA captain in Ryder Cup history but he does have a serious amount of experience. Their is also gossip that when Team Europe do make their decision on the captain for the 2014 Ryder Cup in Gleneagles they might make the call on the 2016 captain swell because Theo's two picks available and they might as well get that over with. Just speculation of course. I hope the Dublin born, Grange Golf Club man does get the nod for the upcoming Ryder Cup as he has enough experience playing and maneging, he has been the captain of two winning Seve Trophy teams, and never being on a loosing Ryder cup team.